Drive awareness, increase customers and share your story among a highly engaged audience with Instagram Advertising. Pool Marketing Site combines our experience in strategic campaign management with our technical expertise and data-driven results to accelerate awareness, engagement, and conversions for our clients. Instagram uses the same powerful advertising tools as Facebook. That way you can set up, run and track campaigns the same way you do with Facebook ads. 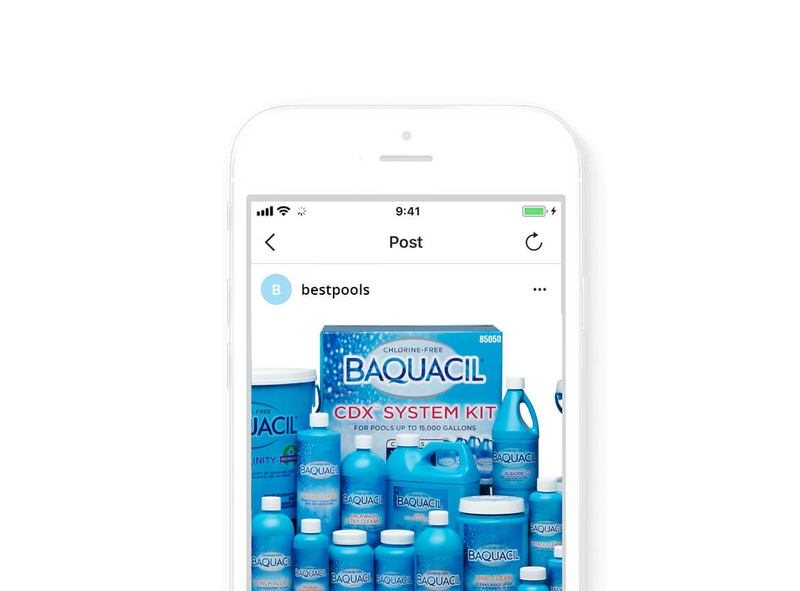 We will help you reach the exact audience you want using our precise targeting options through the five different types of Instagram Ads, all of which are seamlessly incorporated into Feeds and Stories for a smooth user experience. Photo Ads: Tell your story through a clean, simple and beautiful creative canvas. Photos can be in square or landscape format. Video Ads: Get the same visually immersive quality as photo ads — with the added power of sight, sound and motion. And now, you can share videos up to :60 long in landscape or square format. Carousel Ads: Bring another layer of depth to campaigns where people can swipe to view additional photos or videos in a single ad. Stories Ads: Complement your feed content with ads on Instagram Stories. Awareness. Drive awareness of your business or service. Consideration. Have potential customers learn more about your products or services. Convert to Sales. Increase product sales, mobile app downloads, even visitors to your store. Promote Your Brand. Advertise to potential customers. Share Your Story. Showcase your company culture and values.